Blisters are one of those problems that most hikers will have to deal with at some stage. On short hikes they are an annoyance detracting from the pleasure of the hike and on longer more complex hikes they can be debilitating to the extent that they prevent you from hiking at all. Learning how to prevent blisters, and if need be treat them, is one of those skills that all hikers need to know. A blister is a small pocket of fluid in the upper skin layers and is your bodies common defence response to injury or friction. Ensure that you shoe and sock combination meets your specific needs. Shoes should be firm enough that they restrict foot movement within the shoe/boot but not so tight that you get areas of rubbing. Many outdoor stores will have small ramps that will allow you to try out footwear and to see what impact walking up and down hills will have in regard to the shoes rubbing on your feet. Your feet will swell on long hikes so allow a bit of space but not so much that your feet slide around inside your shoes. 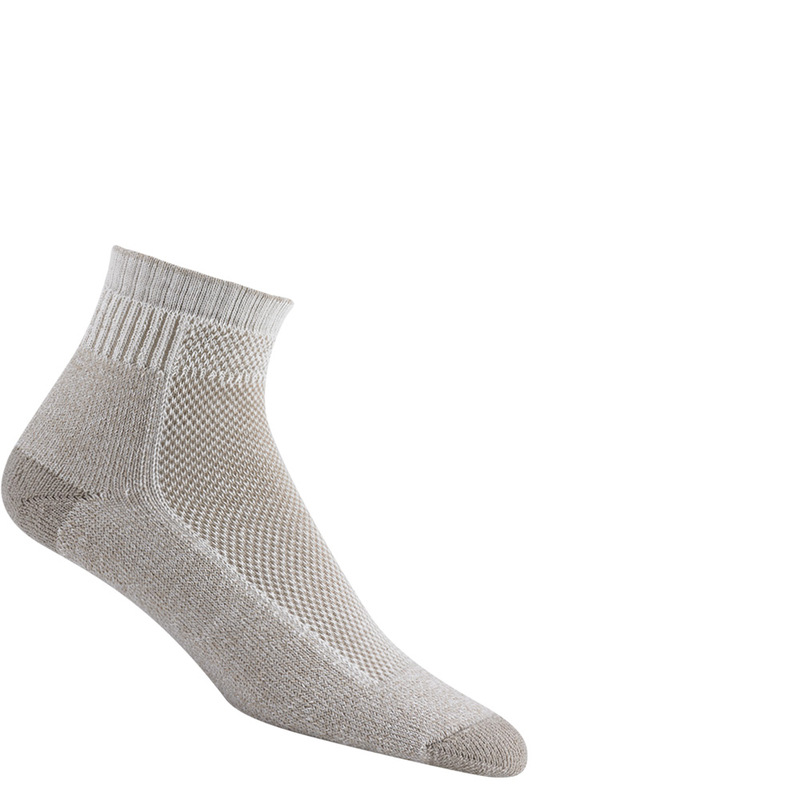 Choose a sock that provides plenty of padding on the sole of at the foot but minimises sweating. My personal choice of sock is the Wigwam Cool Lite Hiker Pro Socks as I am prone to overheating if I wear thick socks, even in cold weather. Gill on the other hand has issues with blister formation when her toes rub together so she prefers Injini socks which keeps the toes separated. When you cross a stream and have no choice but to get wet feet take to time to remove the socks, and inserts before your cross. When you have crossed over dry your feet off and ensure that there are no foreign objects in the shoes. I will usually take three pairs of socks with me on an extended trip and cycle them through between washing, wearing and a spare pair. Alternatively use enclosed sandals such as ‘Crocs’ for water crossings. Prepare for your hike in advance to allow you to build up hiking fitness but to also toughen up the skin on your feet. Remove any foreign objects from your shoes, don’t leave them in there. Wear lightweight gaiters is sandy soils to minimise foreign matter entering you shoes. Cut your toenails straight and not too short. Sometimes you do everything right and you are still prone to blisters. If you know that you tend to get blisters in certain areas then preventative taping will help to reduce the risk of blisters forming (see below). For me this was one of the best hiking skills I ever learnt. If you are taking a break longer than a few minutes (eg lunch) take your shoes and socks off, if the weather permits, to allow your feet, socks, and shoes to dry out and air. If you feet are prone to excess sweating then use powders to minimise moisture build up. If wearing leather/heavy boots wear them in before a long trip. There are two types of hikers in this world. 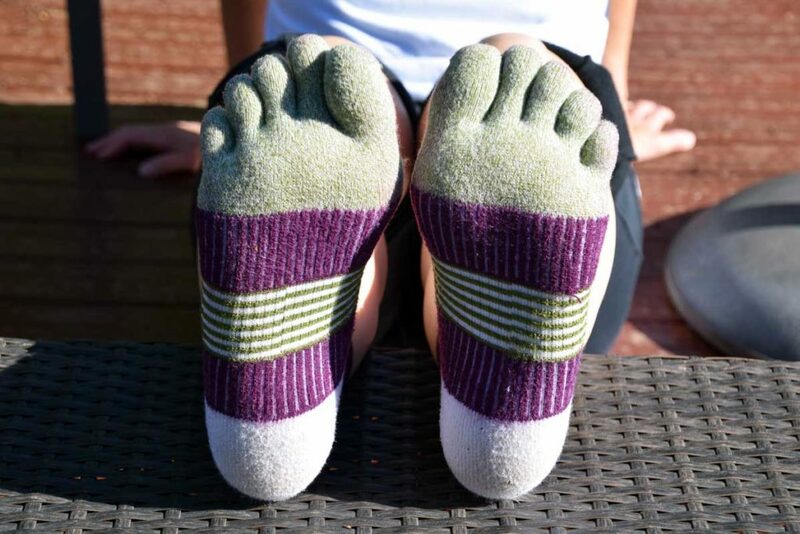 Those that love Injinji toe socks and those that don’t! A few years ago I learnt the hard way that on trips where I am doing multiple days of 25km+ I get hot spots on the balls of my feet so I visited my podiatrist and asked her to teach me how to tape my feet. The image below is the end result. I now only tape the front section of my feet, and occasionally my right heal (my left is usually fine) and this works a treat and I can now easily average 30km+ days without getting hotspots in this area. The other issue that I have is that I grip with my toes. It doesn’t matter what shoes I wear this has always ben an issue for me. So on the first couple of days of a big trip I put a bandaid around my left little toe (again I have weird walking habits). Eventually my feet toughen up and I stop taping. I wouldn’t have been able to complete my 1005km Bibbulmun Track Hike without taping so I now swear by it. So you’ve done everything you can to prevent blisters but it hasn’t worked so what do you do now? If the blisters are only small assess what the cause is and ensure the problem doesn’t get worse. Clean the surface of the blister to remove an dirt and grime. Wipe the area with disinfectant if you have any. Poke a small hole in blister and allow the fluid to drain. Don’t remove the blister skin. Put a protective wound dressing over the blister to prevent further damage. Try to determine what the cause of the blister was and if possible remove that cause. Methylated Spirits will also dry the skin out allowing the wound to heal more quickly. This works well when you are using methylated spirts as a fuel source for your cooking stove but not everyone does this. First and foremost prevention is better than cure so look at the main cause of blisters which are poorly fitting footwear including your socks. While footwear selection is the main issue don’t underestimate the other factors that can contribute to creation of blisters an try to see if you can eliminate or at least reduce any contributing factors. No matter how well you prepare if you are an active hiker at some stage you will have issues with blisters so make sure you recognise when blisters are forming and treat them early to ensure the enjoyment of your hike.